Less than 2 hours from Prague is the family-friendly Zámek Loučeň: a romantic baroque chateau with chapel sits atop a ridge, surrounded by English parklands. 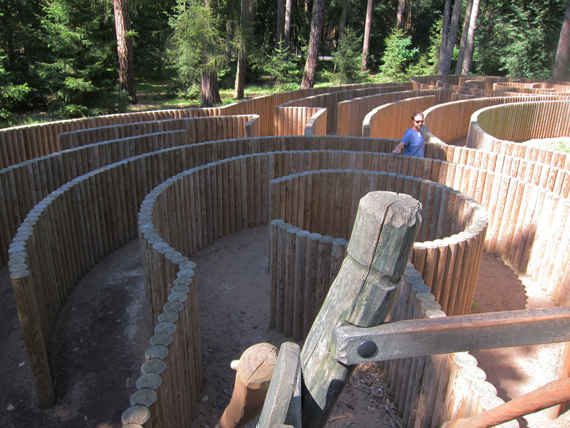 It’s best feature, 10 beautifully constructed Labyrinths (Mazes) scattered throughout. Loučeň is a sleepy old village which was probably settled in the past to service this impressive property. When you reach the crossroad you know that you’ve arrived due to the hive of day trippers wafting around the entrance gates. Opposite the gates you’ll find a carpark, from memory I think we paid 40czk. To enter Loučeň you will have to pay an admission fee at the entrance building, this allows you free and unlimited access to all the labyrinths, a map and access to the extensive parklands. 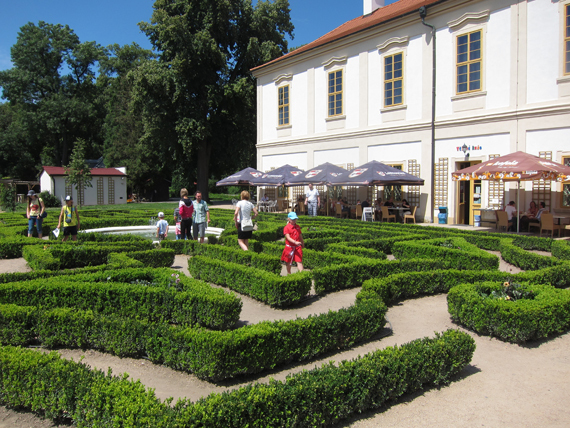 Past the entrance building and on the way to the chateau you’ll find a small children’s playground, market stalls selling snacks and crafts plus some trampolines that cost 20czk for 15 minutes. 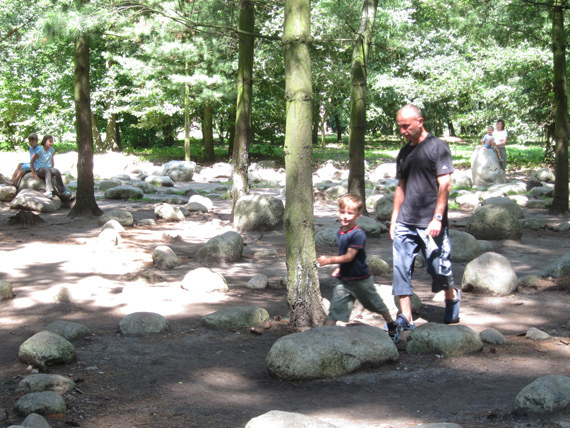 We did not have our kids with us on this trip, otherwise we’d be 40czk poorer, for sure! Loučeň is quite differently managed than most of the castles and chateaus that I have visited in Czech Republic. It was not restituted to the past owners (the Thurn-Taxis dynasty) and thus became a state-owned property. Apparently, when certain properties require massive upkeep and investment they are often sold by government to companies who can show they have available money and a suitable business plan to ensure the future of these historical landmarks. Thus, Loučeň is run by a company. 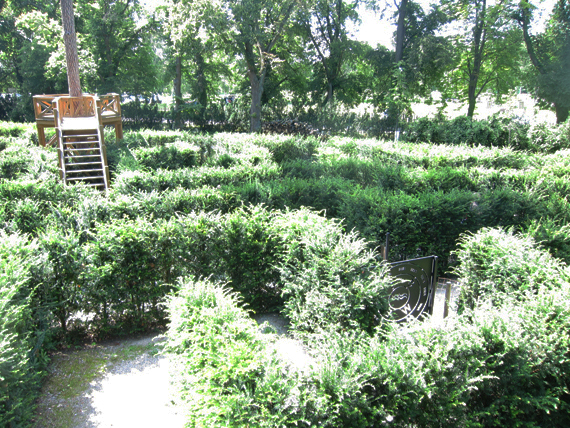 So the company had a great idea in 2007 when they commissioned and installed these wonderfully constructed labyrinths within their chateau walls. 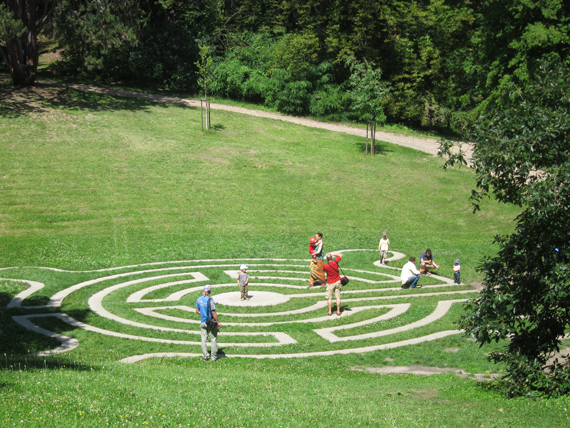 The labyrinths are all constructed from natural materials - wood, stone boulders, gravel, hedges - they settle in nicely with the gardens. 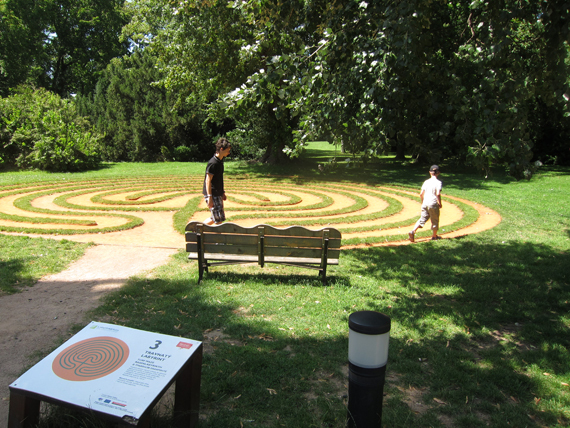 Each labyrinth has a sign in Czech and English explaining it’s name, it’s number and any instructions required to complete it. 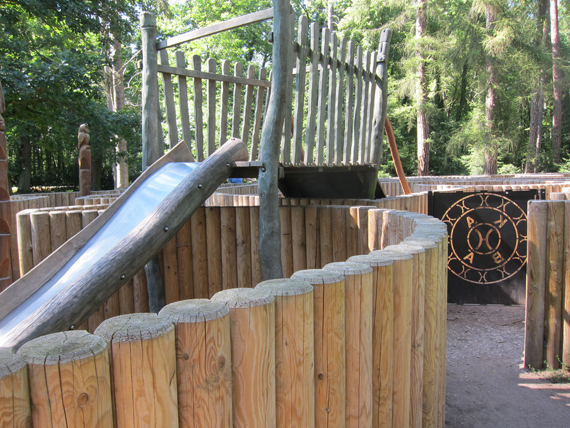 It’s wonderful to see kids, grandparents and parents all taking on the challenge of each maze - they are all quite easy, well perhaps not the traditional hedge maze which is taller than most of us - thus the viewing platforms allowing frustrated parents to yell down instructions to their trapped offspring! 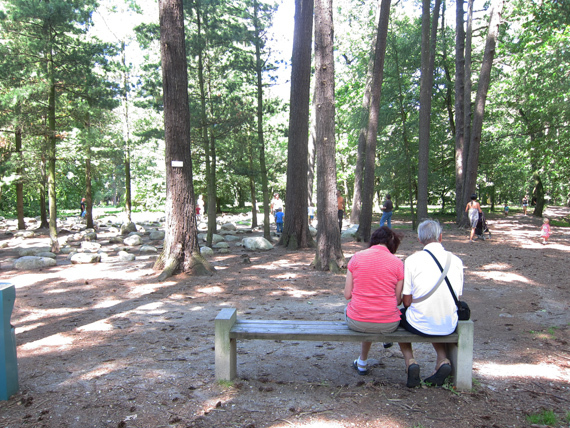 The parkland features tumbling meadows, forest, glades and ponds - plenty of shade and space for everyone - so much so that they advertise a Family Picnic or Romantic Picnic to visitors - just ask at the restaurant and they’ll prepare a hamper for you. Better still, pack your own! The pathways around the park are suitable for prams and walking around I thought how wonderful it would be to return here in Autumn with the kids - the array of deciduous trees would make the park even more magic. As I mentioned before there are snack bars on arrival as well as a cafe and restaurant at the side of the chateau. There is even a hotel on-site - Hotel Maxmilian - if you wish to take a weekend trip and explore this interesting region. Below is the website for the chateau but the English section is limited, you will find far more information in the Czech part of the site - try Google Translate to get a better idea on the facilities or any upcoming family events that they often organise. We also took a tour of the chateau’s interiors. The tour was about 45 minutes long and conducted in Czech. You can ask for an English translation on paper when you book the castle tour at the front gate, it contains all the history of the chateau, it’s inhabitants and a description of each room and it’s objects. From memory, the last owner left in 1945 - no doubt a consequence of World War 2. OPEN: January-February - Open only for the first weekend of the new year from 10am till 5pm, March - April - Open every weekend plus Easter from 10am till 5pm, May - Tuesday to Sunday 10am till 5pm, June to August - Open every day 9am to 6.30pm, September - Open Tuesday to Sunday 10am till 5pm, October to December: Open weekends 10am till 5pm. DIRECTIONS: From Prague take the E65 towards Mlada Boleslav, take exit 27 towards Vlkava then to the small village of Loučeň.